It’s so hard to believe that in only one month, Peanut is going to be 4 years old! Time sure does fly. Looking back, one thing that has been a constant in both the girls’ lives is Cheerios. Actually, as far as I can remember, Cheerios has been a part of my life too. Of course, when we first started the kids on food, it was mushy, pureed veggies and rice cereals. But when they started wanting to feed themselves, Cheerios was my first choice! And when talking to moms with babies, Cheerios is always in the list of finger foods that kids can feed themselves. When starting to think about feeding your baby something other than breastmilk or formula, there are so many questions… when? how much? what types of foods? It can be very overwhelming. I was very thankful for the different moms’ groups and online mom-focus forums that I was a part of. Talking with other moms and sharing experiences about our babies, especially about feeding, is so important. The new Cheerios First Foods section on babycenter.ca will help parents find the answers and support they’re looking for when it comes to their baby’s first foods. It features expert information on how and when to introduce certain foods, tips for picky eaters, answers to common first foods questions and lots of other useful information. The section also features wonderful First Foods tools (menu plans, etc.) 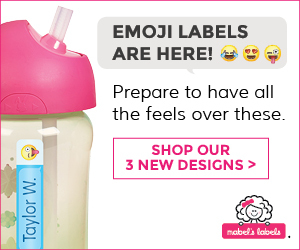 that can help make life easier for busy moms. All this is being brought to you by two companies trusted by Canadian Moms: Cheerios and Baby Center! So go on over and check it out! And Cheerio’s has a special giveaway for my readers!! After checking out the Cheerios First Foods section at babycenter.ca, if you leave a comment sharing your feedback about it, you’re entered to win a Cheerios Prize Pack ($50 value!) which includes a: Cheerios On-the-go Tot Container, Cheerios playbook, Box of Cheerios, Bowl and utensil set and a $30 Cash Card. 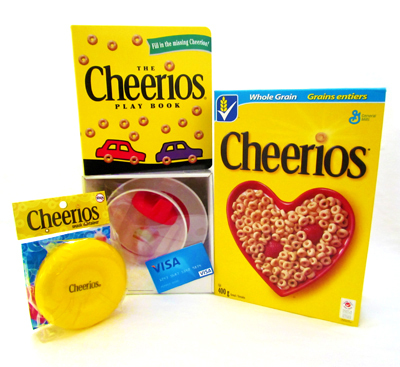 Enter a comment below with your feedback about the Cheerios First Foods section at babycenter.ca. Fine print: Comments will close at midnight Monday February 14th. I am participating in the Cheerios First Foods program by Mom Central on behalf of General Mills. I received a gift card as a thank you for my participation. The opinions on this blog are my own.